In 2019 we are visiting gardens in Hartford, CT, and in Provence and the Cote d'Azur, in France. We will spend three nights in downtown Hartford at the Hilton Hartford, conveniently located for dining at night. 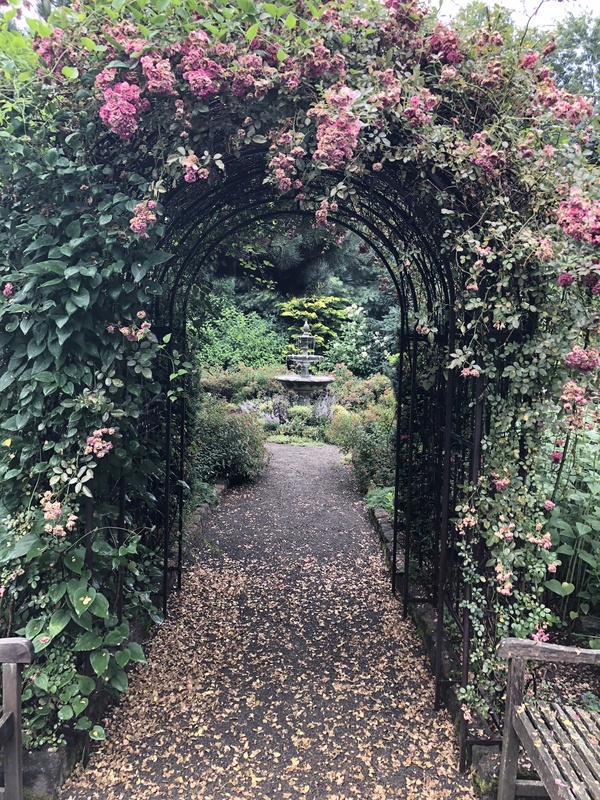 Although we will primarily visit private gardens during our time in Connecticut and New York, we will also visit two public gardens: Stonecrop Gardens, and Elizabeth Park Rose Garden. On Monday, we will travel to Cold Spring, New York to visit Stonecrop Gardens, stonecrop.org. After the tour, you will have time to explore the garden on your own, and enjoy a box lunch. Stonecrop Gardens was originally the home of Anne and Frank Cabot, and it became a public garden in 1992 under the direction of Caroline Burgess. Be sure to check out the Stonecrop Gardens seed donations in the 2018–19 HPS Seed Exchange Catalog. The second public garden will be Hartford's Elizabeth Park Rose Garden, elizabethparkct.org, the first municipal rose garden in the United States and the third largest rose garden in the country today. A tour of the garden has been arranged and you will also have some free time to explore. Monday afternoon we will be visiting the garden of Bunny Williams located in Far Hills, Ct. Her gardener will give us a tour of Bunny's garden while we relax with a glass of wine. The cost of the trip is $735 and $1,010, for double and single occupancy, respectively. The price includes accommodations for three nights, motor coach transportation, bus driver’s gratuity, all breakfasts and lunches, admission and tours at Stonecrop Gardens and Elizabeth Park Rose Garden, First Night Social, and an assortment of small expenses. Dinner meals are not included in the cost of the trip.Our garden trip would not be complete without a shopping experience or two. Bring your crate! We will stop at John O’Brien’s Hosta Nursery, obrienhosta.com, and Broken Arrow Nursery, brokenarrownursery.com. One of our most popular offerings are guided tours of exceptional gardens in in the US, Canada, Europe and beyond. In North America we have traveled up and down the East Coast, from Montreal to Charleston, and west to Ohio. Overseas we have traveled often to the UK, and also to Belgium, France, Italy and Morocco. In 2019 we are visiting gardens in Hartford, CT (July), and in Provence and the Cote d'Azur, in France (September). Click here to see some of our previous destinations. 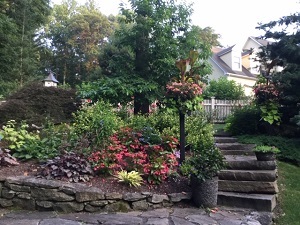 Tours are planned and led by HPS/MAG tour coordinators, with emphasis on visiting unique private gardens that are not generally accessible to US travelers. The tour package typically includes double accommodations, motor coach and guide, entrance fees, tour gratuities, many meals, and often a wine and cheese reception on the first night. Travelers are responsible for their own transportation to and from the starting point of the tour, some meals, travel insurance and incidentals. When travelling outside the US, we partner with well known travel agencies who specialize in garden tours, such as Brightwater Tours, and Susan Worner Tours, and we are frequently accompanied by a horticulturalist who is knowledgeable of local plants. Tours are open exclusively to HPS/MAG members; non-members who would like to travel with us are welcome to join HPS and sign up! Many trips fill quickly; watch the newsletter and website for sign up dates. In September, 2019, HPS will tour gardens in the South of France with Trevor Edwards as our guide. Our 4-star hotels are located in Nice and Avignon, and our itinerary includes public gardens like the Ephrussi de Rothschild and the Abbey of St. Andre, and private gardens including Les Confines and Jardin D’Albertas. Click here for more information about this trip.